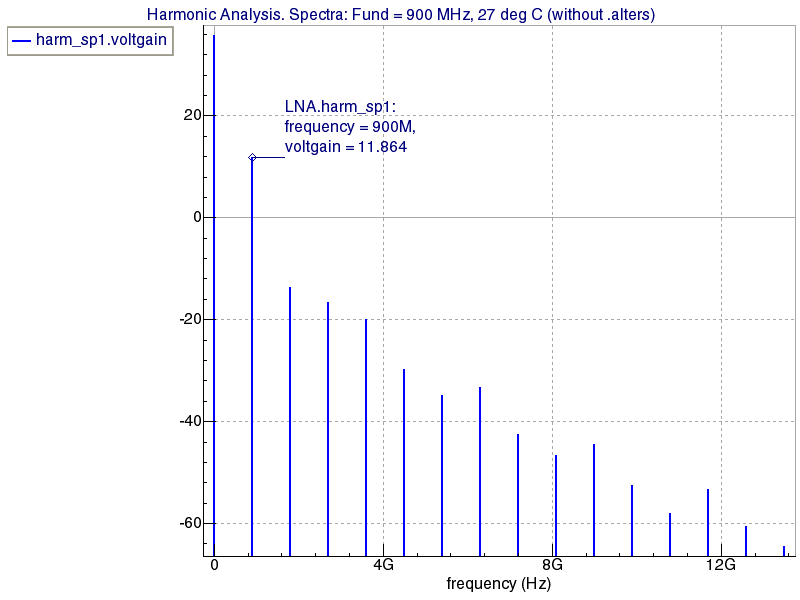 Typical Low Noise Amplifier (LNA) designs utilize reasonable gain and a low noise figure to provide stability without oscillation over the useful range of frequencies (see LNA.png ). Often used in receiver designs, LNAs amplify extremely low signals without adding noise, ensuring the required SNR at low power. In Gateway, set the simulator to SmartSpiceRF. The RF control file for this design ( LNA.ctr) is opened by choosing Simulation->Edit Control File from the main menus. The .ALTER statement and all statements following it are run after the first simulation has completed. Following the first simulation, drag the 'voltgain' vector from the harm_sp1 analysis in Smartview out into the plot areai ( spectralplot.png ). 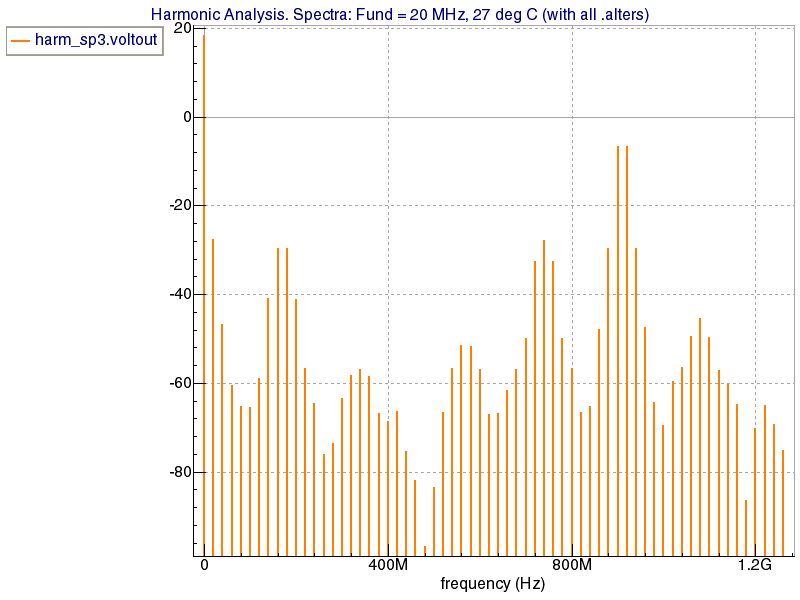 Looking at the spectral plot, the gain at 900MHz is 11.864dB. 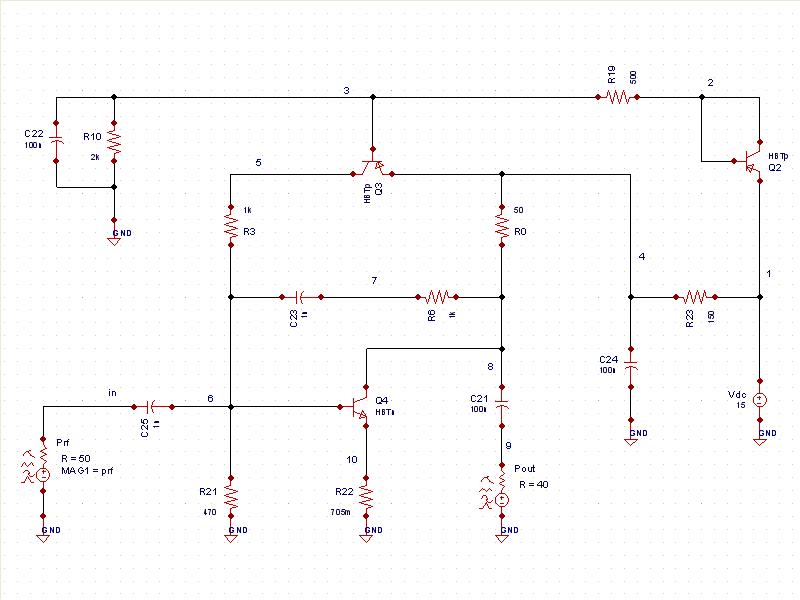 The second simulation shows output voltage distribution. The plot.png shows voltage spikes at 20MHz, 900MHz, and 920MHz.